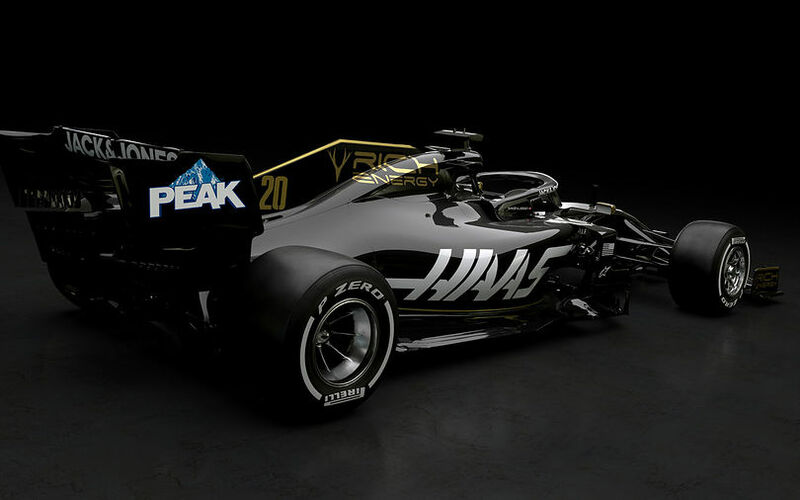 Rich Energy Haas F1 Team unveiled its new-look for the 2019 FIA Formula One World Championship with a livery launch hosted at the prestigious Royal Automobile Club (RAC) on Pall Mall in London. 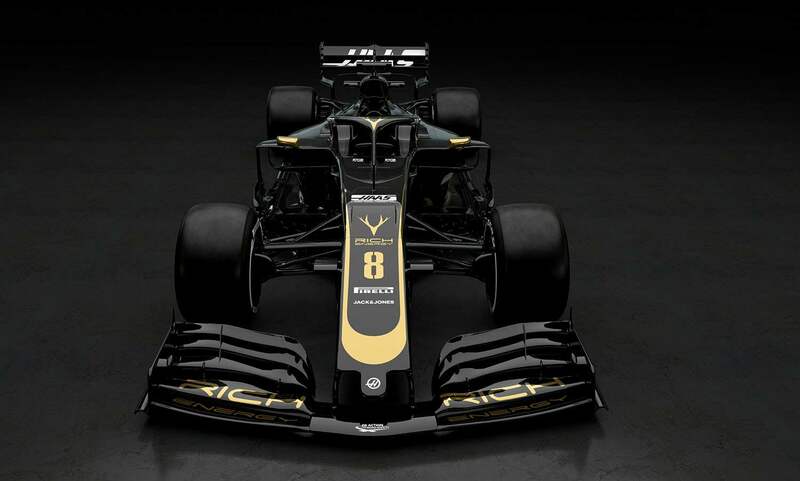 Incorporating the resplendent black and gold colors of Rich Energy, the premium British energy drink first announced as title partner of Haas F1 Team in October 2018, the 2019 livery was revealed on a show car in London as drivers Romain Grosjean and Kevin Magnussen, together with team principal Guenther Steiner and Rich Energy chief executive officer William Storey, peeled back the covers before a throng of assembled guests at the RAC. In addition to the infusion of Rich Energy’s branding, Haas Automation maintains its prominent placement on the VF-19, the familiar light gray tone associated with the three previous liveries have been carried over in the decals on its latest entry, one which will look to build on the success of the VF-18 which carried Haas F1 Team to a fifth-place finish in the 2018 constructors standings. The VF-19 continues to sport the branding of team partners JACK & JONES, PEAK, BlueDEF, Richard Mille, Alpinestars and Pirelli. The digital renderings of the VF-19, in addition to showcasing the team’s new color scheme, also display the impact of the new season’s regulation changes. The simplified front-wing is evident, now 200mm wider and 20mm higher – designed to allow drivers to follow each other more closely and increase the possibility of overtaking. Similarly, the rear wing has been made simpler, as well as 20mm higher and 100mm wider, to aid slipstreaming and promote closer racing. Smaller, repositioned barge boards are also visible, reduced in height by 150mm and moved forward by 100mm, these have been designed to improve air flow from the front wing making them less aerodynamically disruptive. The physical unveil of the Rich Energy Haas F1 Team VF-19 will take place at 8 a.m. on Feb. 18 outside of the team garage at Circuit de Barcelona-Catalunya. Formula One pre-season testing will run from Feb. 18-21 and again Feb. 26-March 1 at the Spanish track before the season-opening Australian Grand Prix March 17 in Melbourne.